APPLICATIONS FOR OUR SEMESTER TWO 2017 INTAKE HAVE CLOSED. Ability to attend events. Presenters allot time before events to answer Intern questions. Opportunities to publish opinion pieces on the AIIA website, present and debate at institute events and publish in the Emerging Scholars journal. Training in multimedia management, debating and research. Access to a careers day and mentors from the public, private and non-for-profit sectors. Produce two short opinion pieces (600-800 words) on a topic of your choice (to be approved by the Intern Coordinator). Awareness and interest of international issues. Knowledge of video recording/editing, sound engineering, photography or online marketing. If you are interested in applying for an internship with AIIA NSW please send an email to nswinternships@gmail.com (for the attention of Ed Morris) containing a brief cover letter that addresses the Selection Criteria, your CV and a brief sample of written work (no longer than 3 pages). Applicants should collate all documents into a single attachment (either Word document or PDF). The written piece should be analytical in nature but does not necessarily have to be on a topic of international affairs. The selection panel is interested in candidates’ analytical skills and their written communication skills more so than their particular subject-matter knowledge. Shortlisted applicants will be informed in June and interviews will be arranged during June/early July. Unfortunately due to the volume of applications received, only shortlisted applicants will be contacted. Damian Meduri is a final year International Studies/Development Studies student at UNSW. 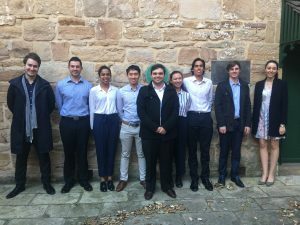 As a recipient of the Westpac Bicentennial Asian Exchange Scholarship, Damian spent a year abroad in Shanghai, China where he also undertook leadership roles in the Australian China Youth Association, which aims to foster the relationship between Australia and its Asian counterparts. Back home, he has also actively participated in initiatives such as Project Hope UNSW, in order to promote and assist the education of children living in rural parts of China. Damian also has a working proficiency of Mandarin Chinese which provides him with a deeper understanding of the Australia-China relationship. Harrison Howard is studying a Bachelor of Laws and Bachelor of Arts (Politics and International Relations) at Macquarie University. Harrison recently completed summer school at the London School of Economics, and has worked with World Vision and other NGO’s. 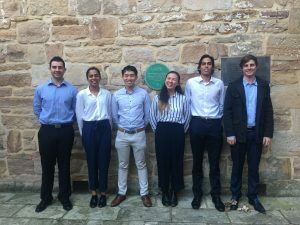 Harrison has been heavily involved in extra-curricular activities at Macquarie University, including the Politics society, Student Representative Council and has written for University-affiliated publications. He also has a strong interest in Middle-east politics and security.